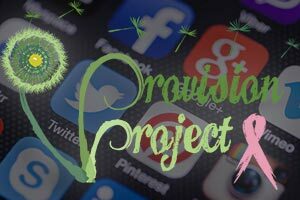 As a passionate supporter of Provision Project, you can easily create a “social fundraiser” through our website whenever you’d like! Perhaps you hate hearing about families whose utilities/lights are being turned off while the mom is going through breast cancer treatment. Are single moms going through breast cancer a passion of yours? If you’re a survivor, rather than receiving birthday gifts this year, ask your tribe to give to the mission of Provision Project. Whatever your goal, a social fundraiser is an easy way to help Provision Project help the women it serves. Use the Breast Cancer Awareness Month in October (or any time) for your social fundraiser. Friends and family are particularly sensitive to the plight of women with breast cancer during October. Instead of getting birthday gifts this year, have friends and family donate to your social fundraiser so women fighting breast cancer can receive financial relief. Are you a survivor? Use the period around Thanksgiving to ask friends and family show their thanks by donating to your social fundraiser. Do an “All I Want For Christmas” social fundraiser, asking your supporters to give to your fundraising page, rather than buying Christmas gifts. Talk to your girlfriends. 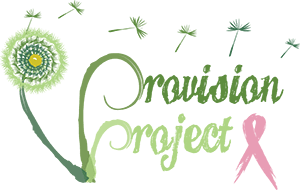 Rather than getting flowers and candy for Valentine’s Day, have the money donated to women in need served by Provision Project. Support the single mothers that Provision Project helps by setting up a campaign that ends on Mother’s Day. Do you want to honor someone you love who has gone through breast cancer? Use their birthday month to do a social fundraiser! Communicate what “project” is nearest to your heart and why: utilities, housing, food, medical bills, transportation, single moms, etc. Have a specific fundraising goal in mind. Have a firm deadline for giving. It’s simple to create a personalized social fundraising page. Just follow these easy steps! If you have a Provision Project account, go to Account Login to enter your name and password. If you need to set up your Provision Project account, follow the instructions. You’re now on the “Social Fundraising Overview” page. Under “Add a Fundraising Page for a Campaign,” click on the arrow in box to get the drop-down menu. Choose the campaign you are raising money for. Now, you’ll be at “Your Fundraising Page” for (chosen campaign). Write a heart-felt description to inspire your friends!